NA deployed to provide security at PLA cantonments (deployment plan) - Integration Through Media ....! 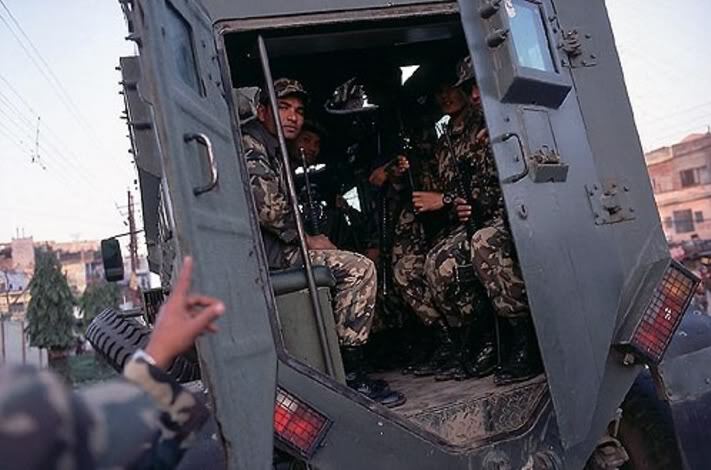 N24,KATHMANDU: Following directives from the PM, Nepal Army security personals have been deployed to provide security in all the major Maoist combatant cantonments and satellite camps through out the nation. The security personal will provide security to arms and combatants and their families within the cantonments and camps. NA was deployed following concerns of ‘security threats’ from some combatants aligned with the Baidya faction. As per NA’s deployment plan 135 members security personals (company) in the leadership of a major have been deputed for all major 7 cantonments across the nation and a 45 member team (platoon) headed by a Captain have been deployed to provide security at the satellite camps. NA Company headed by Major Deepak Shrestha from the Indra Dhwoj Battalion has been deputed to provide security at the Illam Based First Division Cantonment of the PLA. Two Platoons have been deputed at the two satellite camps there. Similarly a battalion from the Gorakh Battalion has been deputed to provide security at the Sindhuli based Dudhauli Second Division PLA cantonment. A battalion from the Sumsher Dul Battalion has been ordered to provide security at the Chitwan based Third Division Shaktikhor cantonment and its satellite camps. NA’s Chandiprasad Battalion will provide security at Jhyaltung Danda based Fourth Division PLA cantonment, Dahaban’s second Battalion will provide security at Fifth Division of the PLA cantonments and camps. The Midwest Divisional headquarters of NA has been ordered to provide security at the sixth PLA Division cantonment and satellite camps. And Fifth Brigade has been ordered to provide security to Sixth PLA Division Cantonment and satellite camps.